With the team of hardworking professionals, we are engaged in supplying and exporting Poxet 60mg Tablets. We are based in Nagpur, Maharashtra (India). Its main therapeutic active agent is Dapoxetine. 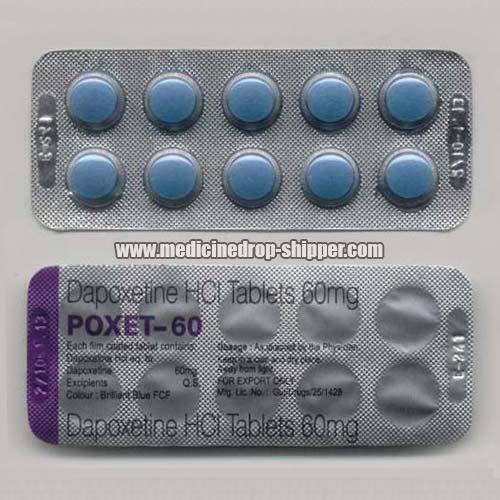 Dapoxetine is specific towards its action and short-acting medicine. Dapoxetine is administered by oral route. Having a right composition these tablets are very effective and reliable. We have enough capacity to deliver them in bulk quantities. This medication can be availed from us at a reasonable price.